TEHRAN - Iran unveiled a new aircraft Monday that it says is the biggest drone yet to be developed in the Islamic Republic, capable of staying aloft for up to 30 hours. 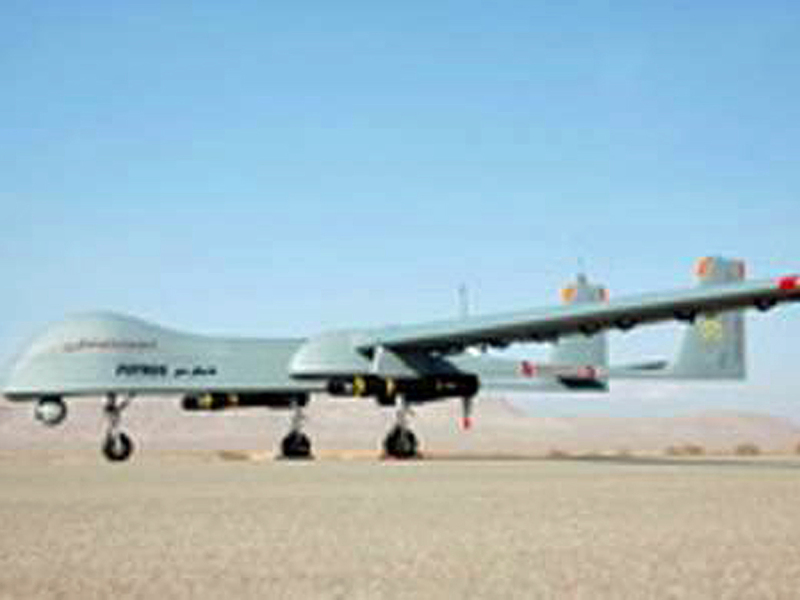 Defense Minister Hossein Dehghan said the reconnaissance and combat drone Fotros has a range of 1,250 miles. That would cover much of the Middle East including Israel.
} Earlier this year, Iran's state TV broadcasted footage allegedly extracted from the advanced RQ-170 Sentinel CIA spy drone it captured in 2011. Iran claims that it managed to reverse-engineer the RQ-170 Sentinel, which it seized in December 2011 after it entered Iranian airspace from its eastern border with Afghanistan, and that it's capable of launching its own production line for the unmanned aircraft. Iran has pursued a military self-sufficiency program since 1980s, and frequently announces technological breakthroughs including the building of jet fighters, tanks, missile, submarines, torpedoes and drones. Most cannot be independently confirmed, however, and a picture of the alleged Fotros published by Iran's semi-official IRNA news agency on Monday looked similar to another new drone the nation unveiled about a year earlier. It wasn't immediately clear whether the Fotros was an entirely new model, or an upgraded version of an earlier aircraft. The earlier Shahed-129 (Witness-129) drone is reported to have a similar range to the Fotros, but can only stay aloft 24 hours. Dehghan said the new drone was a key strategic addition to Iran's military capabilities, and was developed despite tough sanctions against Iran over its suspect nuclear program. Iran's move to unveil the Fotros on Monday came amid ongoing negotiations between the Islamic Republic and the international community aimed at ending a years-long standoff over the allegations of weapons development. Negotiatiors from Iran, the U.S., and five other nations were to reconvene amid hopes of a possible diplomatic breakthrough later this week.